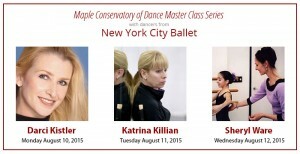 Maple Conservatory of Dance Master Class Series presents New York City Ballet’s Darci Kistler, Katrina Killian and Sheryl Ware. These classes are for Intermediate/Advanced Level Dancers ages 10 to 22. 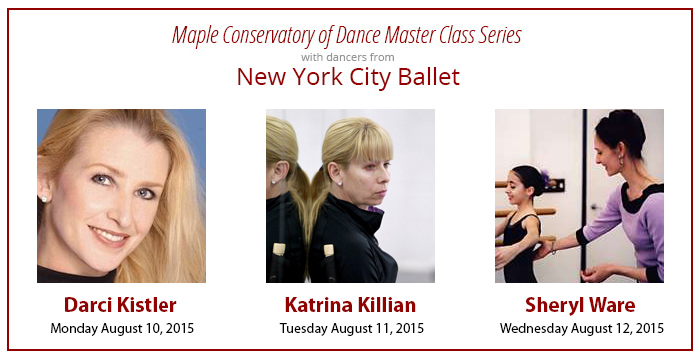 These Master Classes are open to the surrounding dance community. Spaces are limited, so please Register Online today! For more information please call 949-660-9930 Ext. 27.